An extraordinary news week -- from the Brexit vote in Britain to the sit-in at the House of Representatives -- served as a boon, in a roundabout way, for the cable bundle, as subscribers found channels that many rarely or never watch. 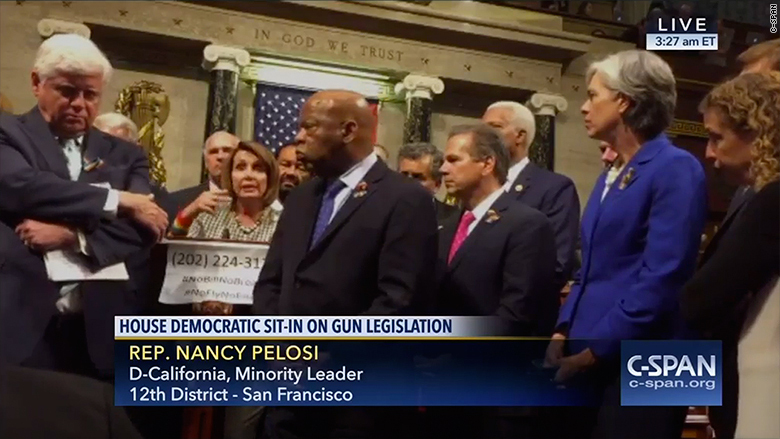 C-SPAN had its moment by carrying the Democrats' protest in the House, while international news outlets -- including BBC World News -- provided extensive coverage of the British decision to leave the European Union. Granted, the audience for such channels is usually meager. But having access to them delivered different windows into these historic events, with people using social media to flag the coverage for those who might not have otherwise thought to go watch them. CBS late-night host Stephen Colbert joked that when C-SPAN went dark because Republicans turned off cameras in the House, that upset "its viewer." But this week, at least, the channel was more than just a punch line. Obviously, anything that smacks of defending the cable bundle comes with several caveats, beginning with the proliferation of streaming and less expensive methods of accessing content. While debate lingers over the immediacy and depth of the threat of consumers dropping cable, or cord-cutting, there would seem to be little doubt that in the long term, the cable/satellite industry is under pressure. The response has come in various forms, such as efforts to shave costs for viewers, or so-called "skinny bundles," to stave off the trend. Still, one of the rationales for the long-established cable model has been that by bundling dozens or hundreds of channels together, more are viable, including niche-oriented networks that collect small sums from each subscriber. By contrast, an a la carte system would pose a formidable challenge to networks like BBC World News or C-SPAN if viewers had to ante up specifically (at a higher per-network rate) for only the channels they wanted. Cable operators have cited some encouraging signs -- such as an actual increase in subscribers by Comcast -- as evidence the sky might not be falling just yet. But the reality is that even with bumps and glitches, streaming and other means of distribution weaken their one-time dominance. It is also a given that smaller networks have become more vulnerable, which is why media conglomerates seek to leverage their most desirable channels to ensure carriage of lesser ones, lumped together under the umbrellas of Disney (DIS), NBC Universal, Viacom (VIA), Fox (FOXF) and Discovery (DCGD). Those companies are simultaneously hedging their digital bets, seeking to ensure distribution for their content. The takeaway from this week, though, was that a mix of unforeseen events and social media can unexpectedly thrust lower-profile channels into the spotlight. And while the cable formula might be living on borrowed time, when that happens, it's actually nice to have options.